September 26th with Will Woodson- we’re starting at 10.30pm after the presidential debate but usually tunes start at 9pm. October 17th we have Andrew Sharp doing a pipes and woodwind workshop before the session. October 24th a film crew will be in to record. 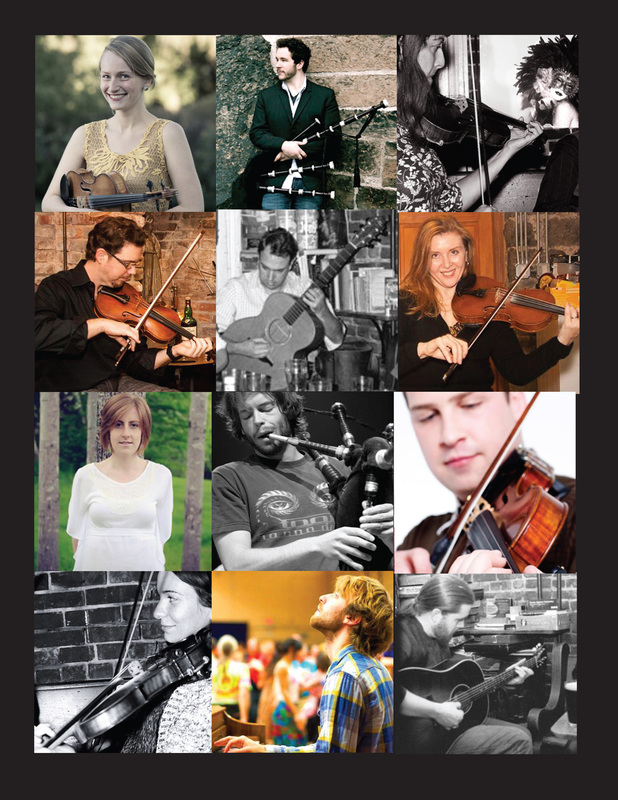 Lots of people to thank for the great sold out crowd we had for the Iona Scottish Session Pipes and Fiddles show at Jalopy last night – what a blast. Thanks to everyone who came down. 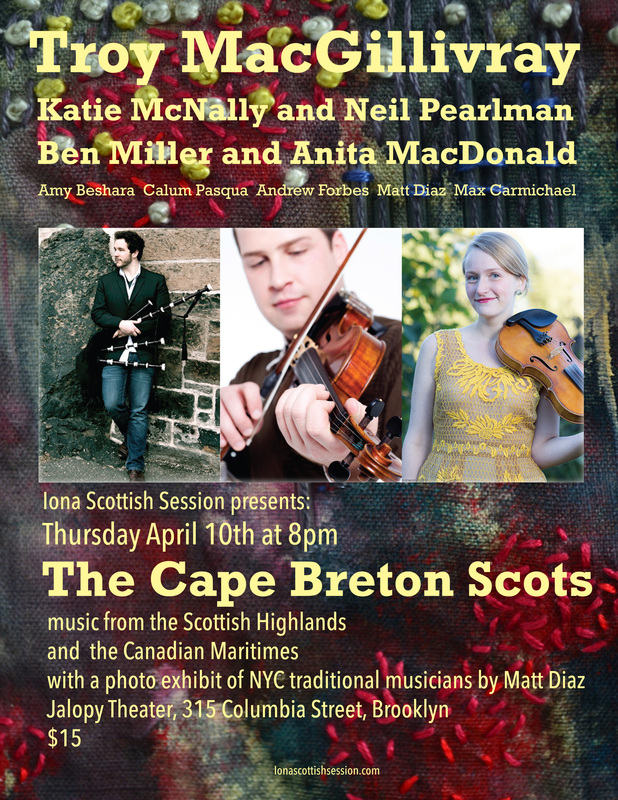 Thanks to the musicians who travelled from Scotland, Cape Breton, Seattle and points closer to home – you all rocked and there were so many highlights. Andrew Forbes playing Tombs,Ben Miller and Anita MacDonald with Troy Macg on piano locking in – just wow – that alone was worth putting on the show for, Katie and Neil kicking it up to a new level of fiddle and piano awesomeness, Troy just being the monster all round player he is and the Iona session sets by Amy Beshara, Calum Michael.John Nevin – thanks for spreading the word and for all you do for trad music in NYC. Simon Brooking and the fine single malts of Laphroaig – so many appreciative comments from the crowd – and what a treat – Thanks.Matt Diaz – the photo show was AMAZING. Looked fantastic. Douglas Safranek – thank you for hanging the show and putting up the musicians. Sharon Katzmann lifesaver, super generous of you to step in when we needed an emergency hostess , the magical generous musical people of Jalopy Theatre and School of Music, Feral , Lynette Wiley, Karen, Geoff and sound man Eric and our stalwart supporters from Iona Bar, Robbie, Victor, Miguel and J. Thanks! 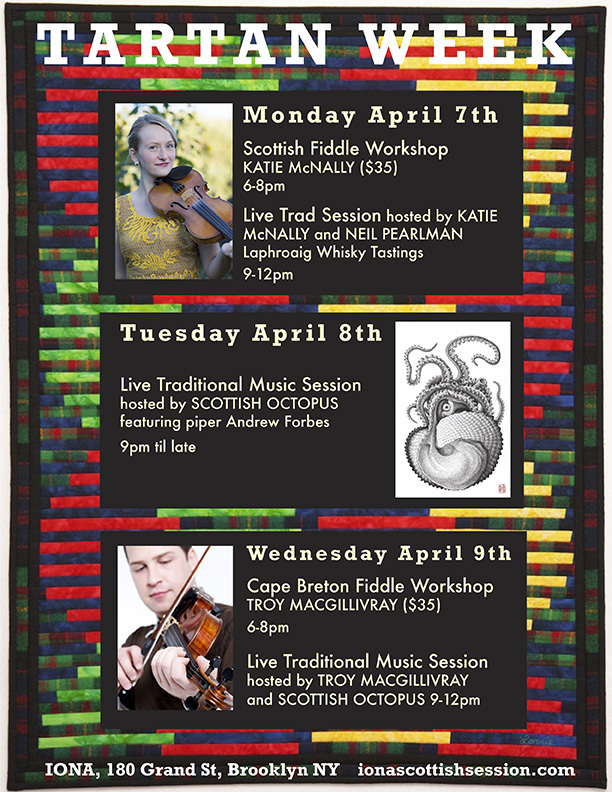 TARTAN WEEK NYC at IONA, 180 Grand Street, Brooklyn presented FIDDLE WORKSHOPS (Mon 7th-KATIE McNALLY) and (Weds 9th-TROY MACGILLIVRAY) and extra sessions in the bar on Monday 7th (Katie McNally and Neil Pearlman), Tuesday 8th (Scottish Octopus with Andrew Forbes) and Weds 9th (Troy MacGillivray and Scottish Octopus) with Laphroaig whisky specials (Mon). 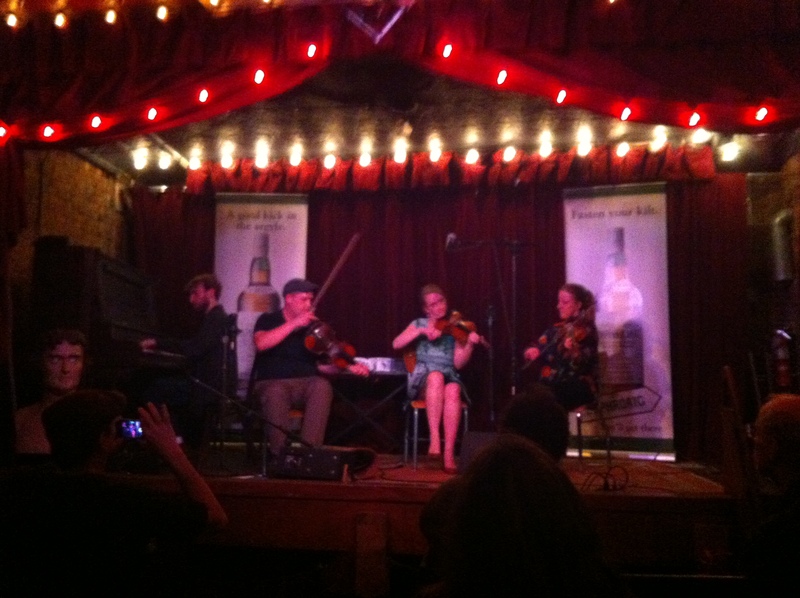 The sold out pipes, fiddles and photography show at Jalopy Theater, again with lovely whisky support by Laphroaig – was a roaring success on April 10th . Matt Diaz’s photography show of traditional musicians opened at Jalopy the same night and runs til April 24th. Our own Matt Diaz, photographer and musician, will be opening a photography show called ‘The Open Session’ the same night at the Jalopy Theater (April 10) of portraits and session family groups taken at the traditional music nights all around NYC.